This recipe is sponsored by the California Dried Plum Board, who invited me to their orchards to experience the September plum harvest. I’ll be the first to admit that most often I roast vegetables, but sometimes it’s nice to do everything on top of the stove. I made these sweet and salty paleo Brussels sprouts in a skillet, searing them until crispy with salty bacon and sweet California prunes. 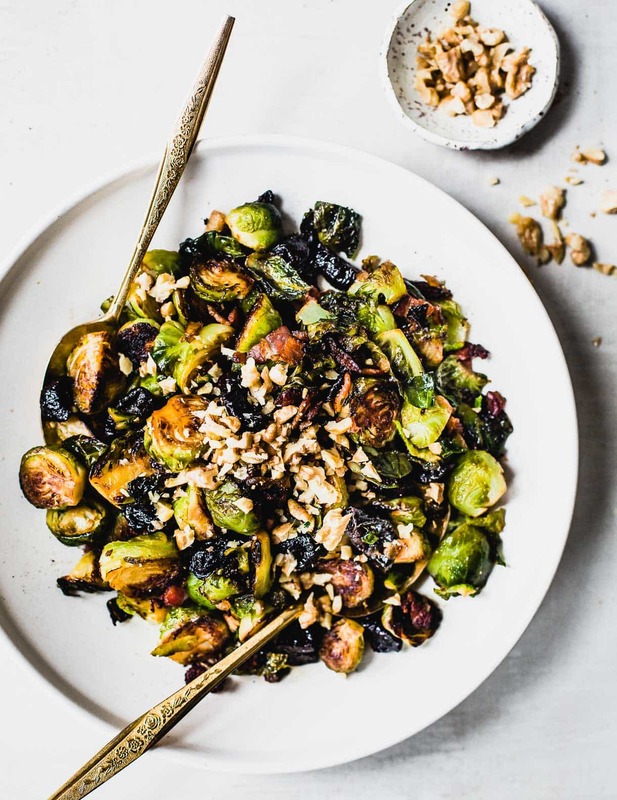 It’s the perfect mix of flavors, and crushed walnuts on top add a layer of texture beyond the Brussels sprouts. Prunes? Yes, you read that right. Let’s talk about ’em. Dried blueberries, cranberries, apricots, cherries. They’re good, right?! And their name tells you exactly what they are. Then there are prunes. 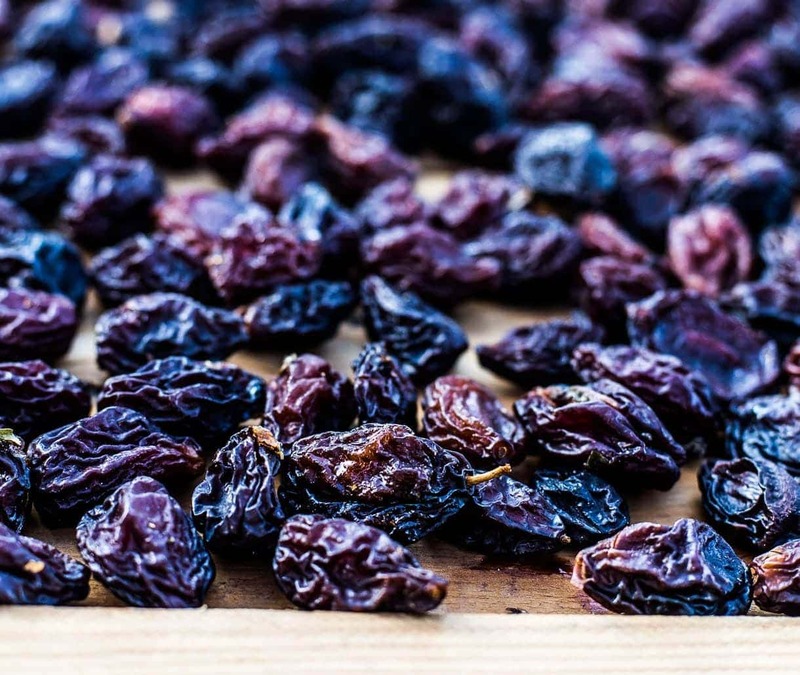 It’s not surprising that prunes fell out of favor over the years, considering their close association with relieving constipation, and an old person pantry staple. But prunes are simply dried plums! Just like raisins are dried grapes. 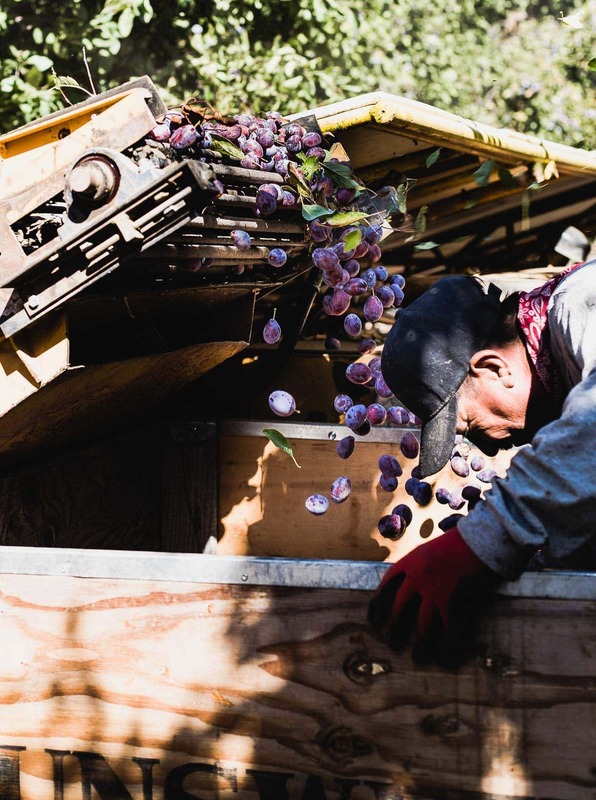 Take away the name, and think about how good a juicy, ripe purple plum in the heat of the summer is. Now think about biting into that same flavor any time of year. That’s the beauty of California prunes, preserving all of their seasonal goodness in pristine form. And they’re DELICIOUS. 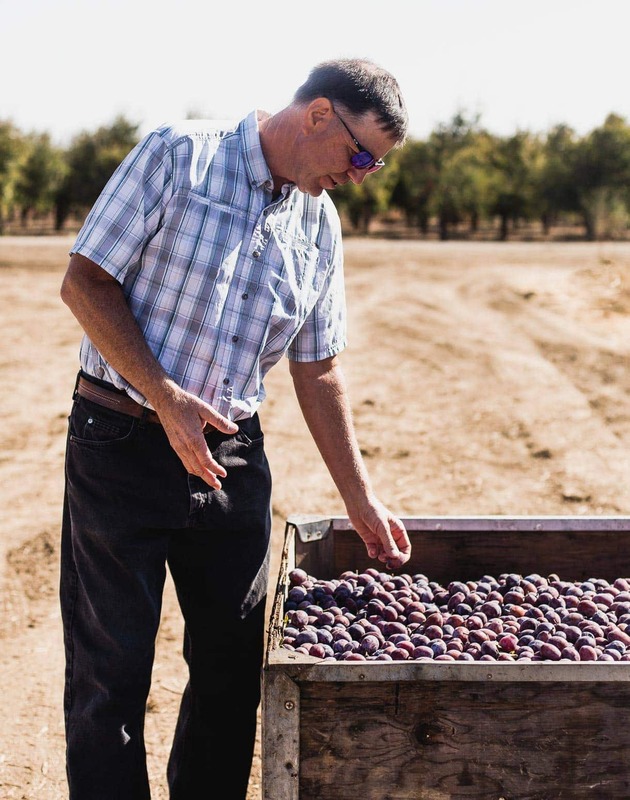 Last month I spent some time with California Dried Plum Board, when the orchards were filled with sun-ripened Improved French Plums, and the farmers were just beginning to harvest. And we took one full day to explore how prunes pair with other foods, and then turned that into a hands on cooking experience at the Culinary Institute of America. 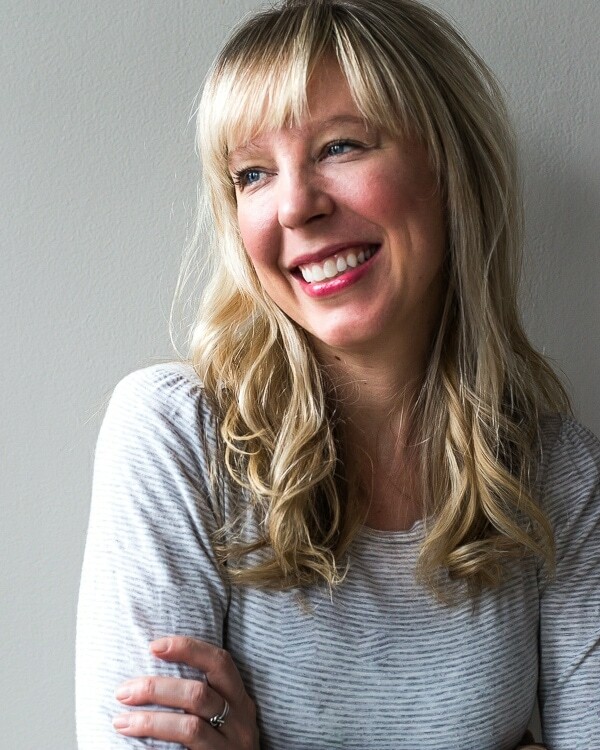 I found myself wishing I hadn’t overlooked this ingredient for so long, not only for what it adds to a multitude of flavor pairings, but also for the health benefits. 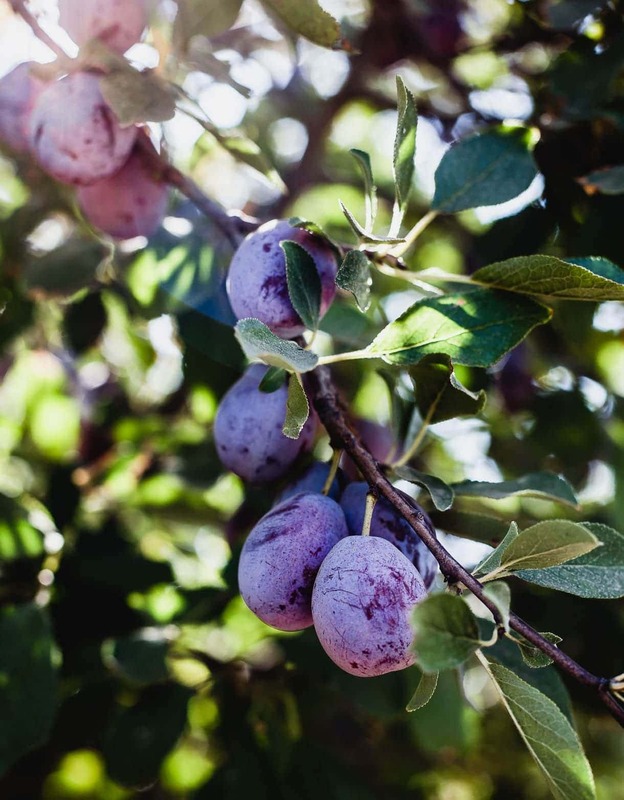 Did you know prunes are good for the body because of the following? 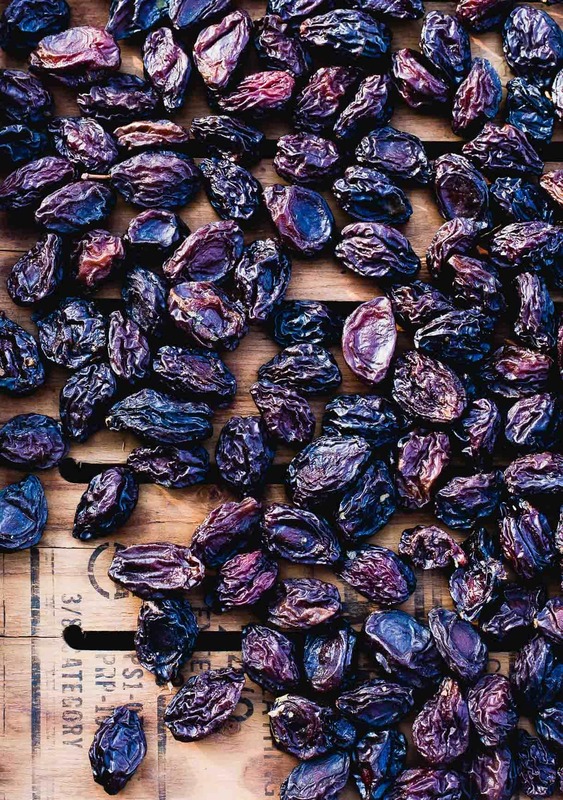 Compared to other dried fruits, prunes are lower in sugar and have a lower glycemic index. They’re high in soluble fiber that helps to keep blood sugar levels stable. Soluble fibre slows the rate that food leaves the stomach and, as a result, delays the absorption of sugar into the blood stream. The soluble fiber also helps to lower cholesterol by soaking up excess bile in the intestine and then excreting it. Prunes and plums are an effective fruit in preventing and reversing bone loss due to rich sources of phenolic and flavonoid compounds. They’re a great source of beta-carotene, which protects and fixes the damage of free radicals on our cells, meaning it can help reverse the signs of aging. Vitamin K works in conjunction with beta carotene to fight the signs of aging by helping reduce bone loss and improving circulation. Yes, prunes are good for getting your digestive track moving! They contain these three components: fiber, sorbitol (a sugar alcohol that can loosen the stool) and a natural laxative compound called diphenyl isatin. Knowing this, take note to eat in moderation. As we were engaged in the flavor pairing exercise, two of my favorite combinations were prunes + walnuts, and prunes + cured meat, such as bacon or prosciutto. 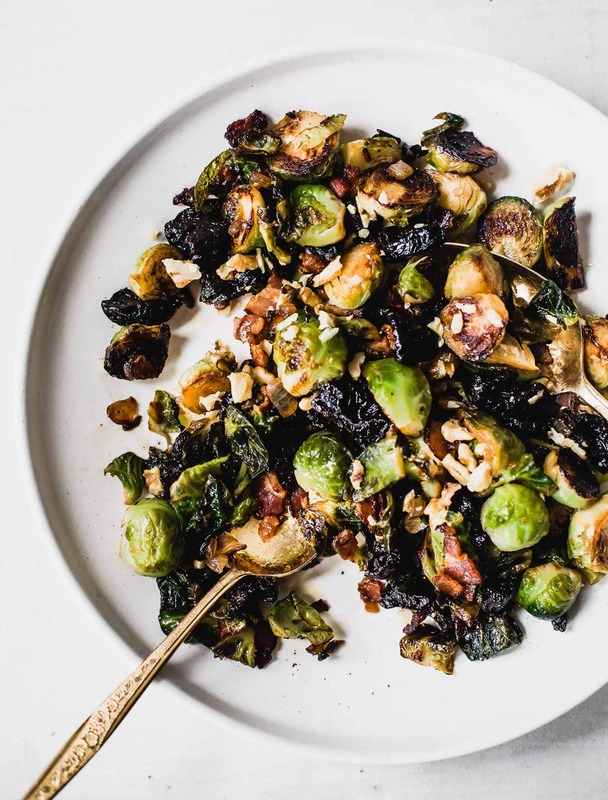 And so I created these Sweet and Salty Skillet Brussels Sprouts with Bacon, that I have a feeling I’ll be making for many of the colder months to come. Definitely Thanksgiving! Made on the stovetop, a bit of onion and sliced prunes cook in the bacon fat, infusing them with salty smokiness. Later they’re mixed in with the seared Brussels sprouts, and get a hit of black pepper, white wine vinegar, and a dab of butter. 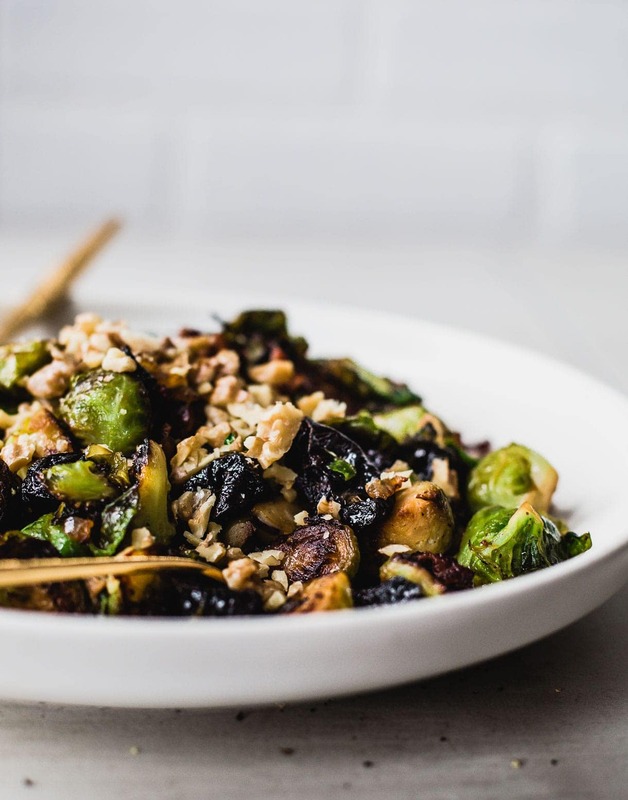 Did you give this paleo brussels sprouts recipe a try? Let me know how it turned out in the comments below, or tag me on Instagram, @heartbeetkitchen or using hashtag #heartbeetkitchen! Heat a pot of water to boiling, and add brussels sprouts. Cook for 6 minutes, until tender. Drain and run under cold water. Set aside. Heat 12 inch skillet to medium heat. Add bacon, and stir, cooking to release fat. As bacon starts to brown, add onion and prunes, stirring to coat with bacon fat. Cook for 6-7 minutes, until onion is softened. Remove from pan and set aside. Cut brussels sprouts in half, or quarters, depending on how big they are. Heat olive oil in same pan, and add brussels sprouts, cut side down, when hot. Sprinkle with salt. Cook for 5 minutes on medium-high heat, then flip over. Add bacon prune mixture, and stir to combine. Cook for another 3 minutes, then stir in black pepper, white vinegar, and maple syrup. Top with crushed walnuts and serve. Would you believe I almost never use plums?! This looks like a perfect cozy, fall way to do it though! I love the images you captured during harvest, it looks amazing!